I have been a BUSY bee!! 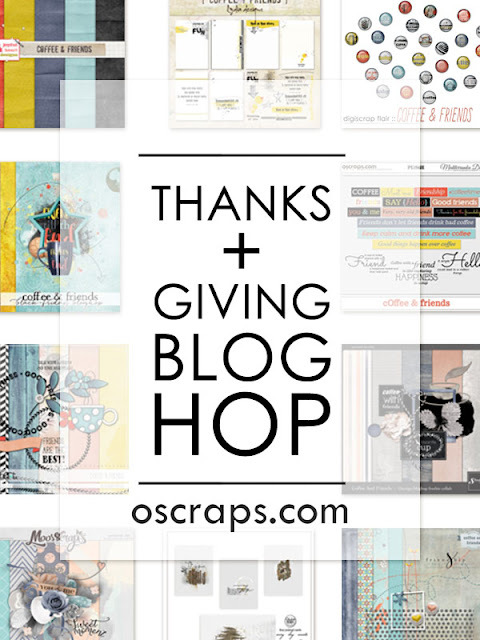 So, not only was there that blog hop freebie, but I have been making new stuff like crazy. 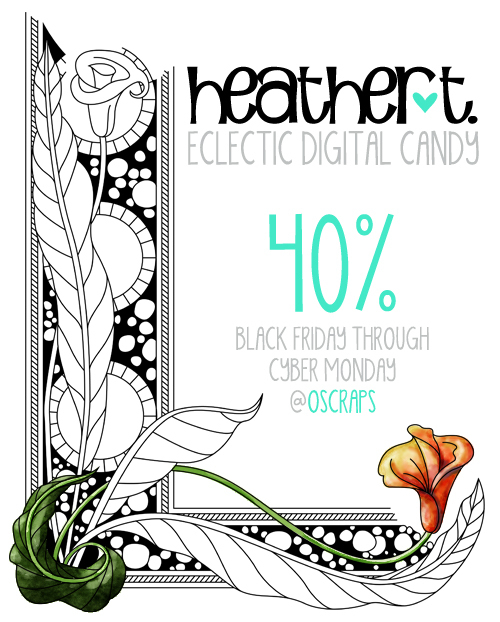 Here's one thing: Oscraps has this event once a month called the Mini-O's, where designers are given a palette and choose 2-3 of the colors to make packs, which are then 44% off for 4 days starting the 4th Friday of the month. 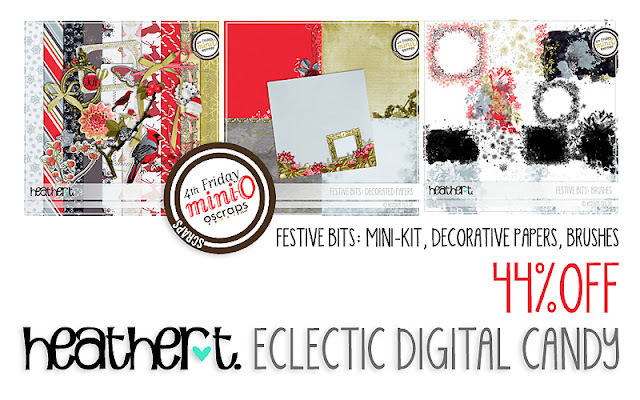 This month the colors made me feel rather festive... and hence, 3 packs of FESTIVE BITS: a mini-kit, decorative papers (those were fun to make, and I might make more of these in the future), and brushes. As it turns out, the store is also hosting a Black Friday through Cyber Monday sale, and my store is 40% off everything (except one collection, which is off more than that). 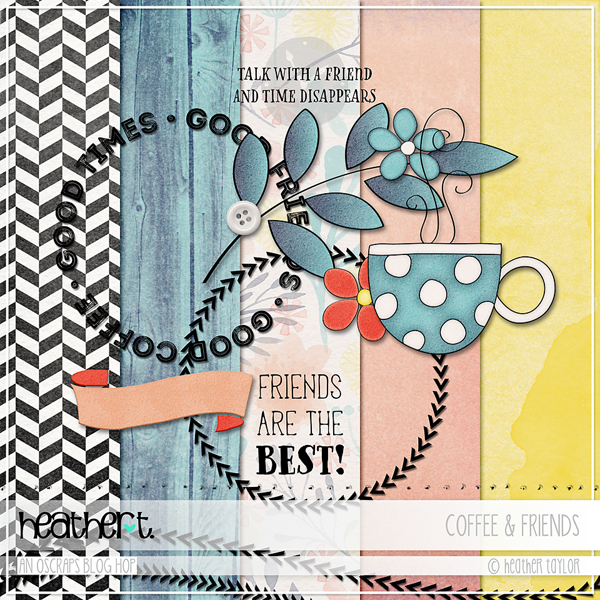 And I made the ad with one of my new Doodled Corners (#2)--it's so fun to play with!! Finally... I have ANOTHER freebie for you, which you can pick up in the store. 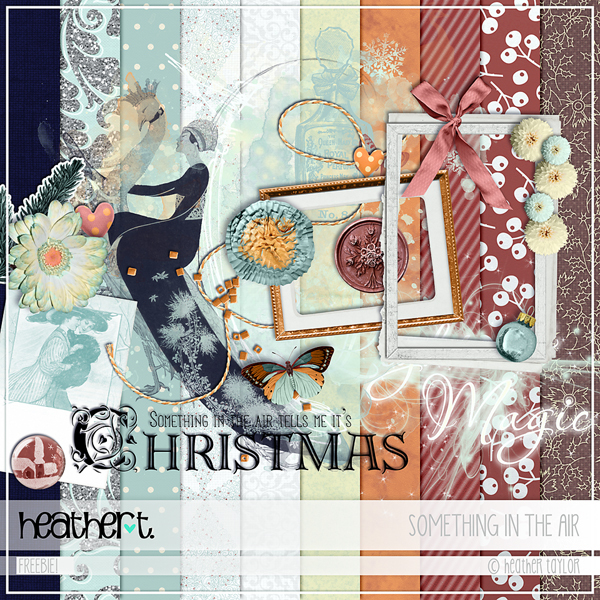 Something's in the Air... a lot of holiday excitement, I'd say!!! I hope you have loved ones you can hug tight, and time to play. You should have hopped over from Rita's place at Blue Flower Art. And after my part, you'll be heading over to Jenn's place at Joyful Heart Designs. For a complete list of the hops, check Oscraps at this thread. To get my part, just click on the image and it should download immediately. The next few days are going to be the best days ALL YEAR LONG to get my products. MScraps is having a huge iDSD sale, with $1 flash sales--this will include personal, and commercial use products. I will bring my retired products back at their hyper-reduced price for the length of the week, and at OScraps, the buy 1, get one free sale. So get your pennies ready!! !